An 80 year old male with multiple medical problems (including CAD, COPD and atrial fibrillation) is undergoing evaluation for progressive early satiety and vomiting after meals for the past year. A peri-pancreatic mass causing extrinsic compression of the gastric outlet near is discovered on abdominal imaging, and upper endoscopy with endoscopic ultrasound and fine needle aspiration of the mass is performed for cytology. 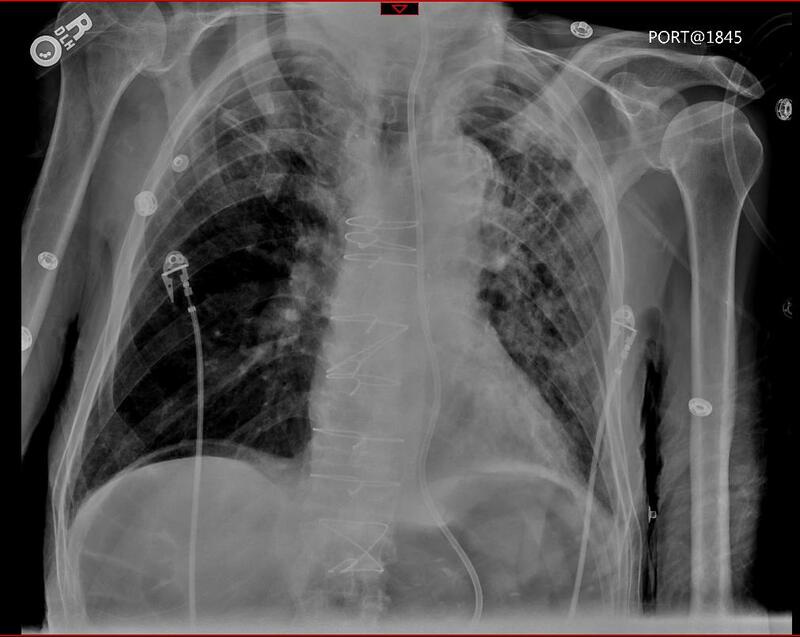 About 4 hours after the procedure, the patient develops respiratory distress and you are called to evaluate him. Leave your answer below & check back in 24-48 hours for the explanation. Good luck! If you would like to submit a guest post or a medical case of your own, please use the contact page.